What Do I Need to Know When Buying a House with Solar Panels? 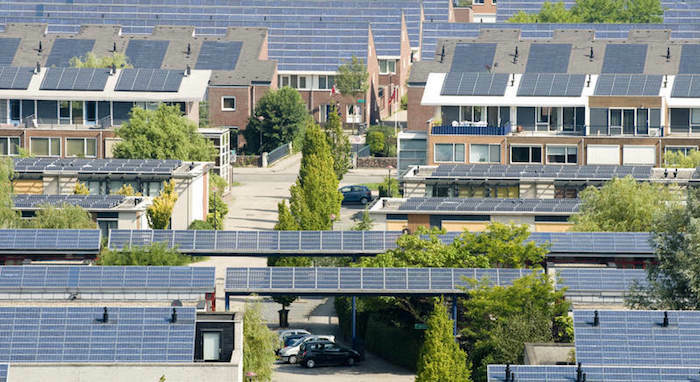 Buying a house with solar panels already installed is a relatively new phenomenon. Read on to find out if it’s really worth it. When you’re shopping for a new home, you probably have a checklist of things to do. First, you walk through the home to see if it fits your lifestyle. Next, you have your real estate agent run comps to make sure it’s a good deal. Lastly, you hire an inspector to check out the house and make sure everything is working well. Buying a house with solar panels is no different. You need to know if the installation fits your lifestyle (more on that later) and if it makes financial sense for you to purchase, both in the short and long-term. There’s a lot of information floating around – some good, some bad – on purchasing homes with solar. It’s a relatively new phenomenon, as solar has really only taken off in the last 10 years. As with any new technology, there’s bound to be a few bumps along the way. So what do you need to know when buying a house with solar? Read on to find out! One of the biggest issues with home resale value and solar is the appraisal. As solar has exploded in the last decade, home appraisers and realtors are struggling to keep up with how this new technology affects home value. In areas of California or Boulder, Colorado, where solar is common and valued, appraisers are more adept and knowledgeable on the subject and more likely to give a fair value to the installation. In this video, California-based realtor Kelly LeClaire explains how solar panels affect buying and selling a house. But in areas where solar is less common, the estimated value that solar adds can differ from appraiser to appraiser. As solar becomes more common, we’ll likely see more standardization in calculating home value with solar, but it can be a rocky road for some homeowners during these growing pains. As a buyer, this could be good or bad for you. A home with a barely-used, fully paid off solar system that is undervalued could be an incredible deal! What do I need to know when buying a house with homeowner-owned solar? If you’re looking to buy a house with solar, the single most important question to ask is if the system was purchased by the homeowner or leased (or financed through a PPA) from a solar company (see all options for buying solar panels). Solar installations owned by the homeowner bring serious value to a home. For a 2015 study, the Lawrence Berkeley National Renewable Energy Lab reviewed 22,822 home sales – including almost 4,000 homes with solar installations – in 8 states and found that buyers were willing to pay an average of $4.00 per watt for installations purchased by the homeowner! Age plays a large role in the value of a solar installation, with new installations bringing in $5.90/watt and older systems (6 to 14 years old) worth $2.60/watt (p.18 of the report). The authors note that as installations age further, value seems to flatten out (and not drop down to zero), but more research is needed to further understand how this works. For an average-sized solar installation of 5 kilowatts, that adds up to an additional value of $29,500 for brand new installations and $13,000 for older installations. 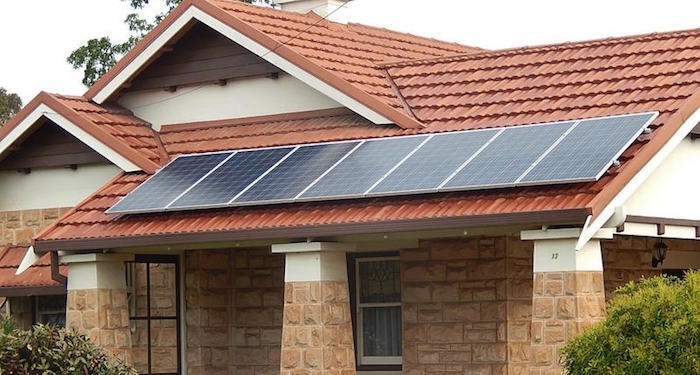 Buying a house with leased solar panels: Is it a good idea? For leased systems, homeowners invest little to none of their own money upfront, so these systems bring far less value to the home than a purchased system. In a study of solar home resale value in southern California, again by the Lawrence Berkeley National Laboratory, they found that leased systems brought no additional value to the home and did not affect the sale, time on the market, or buyer satisfaction (either positively or negatively). Partially because solar leases and PPAs are still pretty rare (around 1 million homes have solar in the US, compared to over 134 million homes in the entire country! ), many potential buyers see leased solar as a potential risk and even back out of purchase deals, as reported by Bloomberg and The Washington Post. Throwing up your hands and walking away from a home because the house has a solar lease might be somewhat overreacting, but these decisions come from a real fear: solar leases are the unknown. How many of us have ever bought a house with solar, let alone take over someone else’s solar lease? How do we know if it’s in our best interest to move forward with this solar installation that was tailored and built for someone else? It’s a scary step that not many have taken. It’s understandable that some buyers don’t want to get involved! For those who aren’t immediately turned off by a leased solar system, keep in mind that, even if the installation wasn’t initially designed for you, you can still save money each year with the solar installation! No matter who orders the installation to be built, solar electricity is cheaper than purchasing electricity from the utility. If you’ll be part of a net metering agreement, you’ll even earn bill credits with your utility if you produce more energy than you use! So if you’ll save money taking over a solar lease, the issue is then determining if the solar installation and contract make sense for you. What do you need to know to make sure you’ll be okay? Take a look below for some insight! To help you figure out if the leased solar installation on your dream home will work for you, here are a few questions to ask your seller. If they can’t or aren’t willing to give you these answers, it might be time to look elsewhere. How many more years on the lease? You need to know how long the lease is for, how much has already been paid off, and how much you will pay in the future. Does the lease include a yearly escalator, where the monthly payments increase each year? You’ll need these figures to calculate your expenditure and savings. Can I see your previous utility bills? You need to know if the solar installation saved the previous owners money. If possible, ask to see their utility bills both before and after installing solar. Calculate what their actual, real financial savings are each month. Estimate your future utility bills in the house and see what your monthly electricity costs (including the solar bill AND utility bill) would come out to. How many people in the home? What’s your typical schedule? Will this solar installation fit your own lifestyle? It’s the same house, but could their energy use be higher or lower? Do they have more children living there than you do? Do they work from home? Are you planning to install electricity-guzzling air conditioning? If their answers are extremely different than yours, chances are the solar installation might be too large or small for your needs. Neither of these situations is terrible – no matter if the solar installation covers 20% of your electricity usage or 90%, the electricity from the solar installation is still cheaper than the utility prices. There are many more questions that anyone signing a solar contract needs to ask. What happens at the end of the lease? What happens if lightning or another Act of God causes the installation to go down? How does this affect my roof warranty? Just because the previous homeowner signed the agreement, don’t assume that it’s a fair agreement. Be sure to read over the whole agreement, take notes, ask questions, and know what you are getting yourself into! If you are still a little wary of signing the lease, ask the buyer to pay the remaining cost of the installation and add that cost to the selling price (though the appraisal could affect the viability of this option). Depending on the size of the installation and how many years is left on the lease, this could be just a couple thousand dollars up to tens of thousands. If the cost is quite high, it’s probably a long shot, but it doesn’t hurt to ask! While they understandably don’t advertise this, some solar companies are willing to negotiate with homebuyers on the remaining cost of the installation. How much is negotiable is up to each individual company, but if the monthly bills are what’s holding you back, you can always see if there’s some wiggle room. The simplest option is just to sign the existing agreement and move forward. If the lease and installation size fit your needs, you’ll, of course, save money simply by having solar installed on your roof. You’ll have to pass a credit check to take over the lease, but that shouldn’t be an issue if you’re already approved for a mortgage. Choosing whether to buy a house with solar depends on the financing and, if a lease or PPA is involved, whether the agreement and installation fit your life. Be sure to read over all the agreement details and ask as many questions as you can. If you have any other thoughts on what’s important when buying a house with solar, add it in the comments below!